If you are like us and love to spend your time in a city exploring on foot, then Barcelona is the place for you! We had chosen Barcelona as our first international trip with our 3 month old baby because we were excited about getting to spend the majority of our time outside and we loved the idea of being able to get around without needing to hop in a cab. It is very easy to get around Barcelona, but it is big and takes time to get places. It takes 15-20 minutes to walk from Plaça de Catalunya to the waterfront via La Rambla. A typical subway ride from Plaça de Catalunya to Park Güell will take approximately 25‐30 minutes each way. 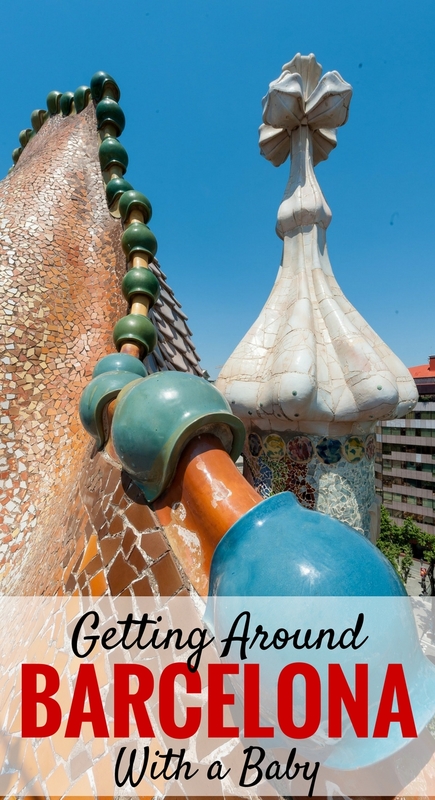 Our Baby Can Travel: Barcelona guide gives you all the details on “ease of getting there” for all the top sights: including walking times from Plaça de Catalunya, nearby subway stops and the hop on hop off bus routes. 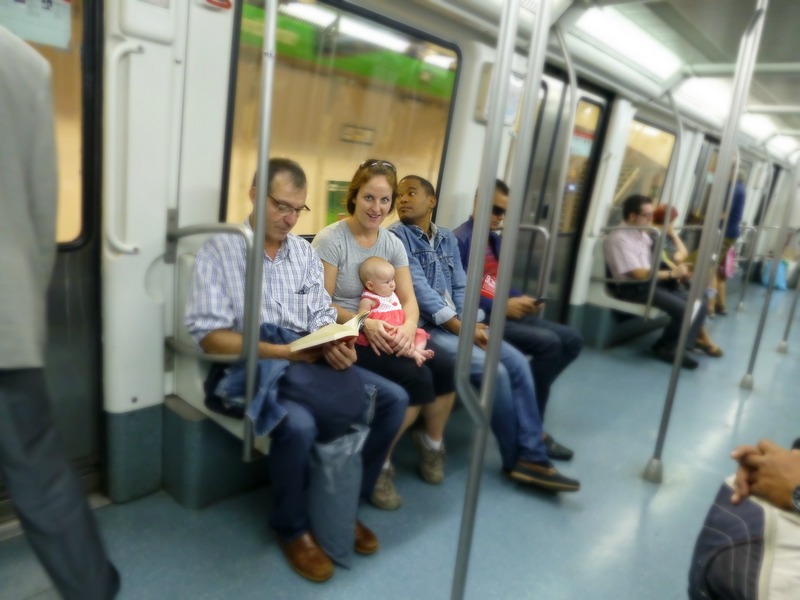 Here is everything you need to know about getting around Barcelona with your baby. 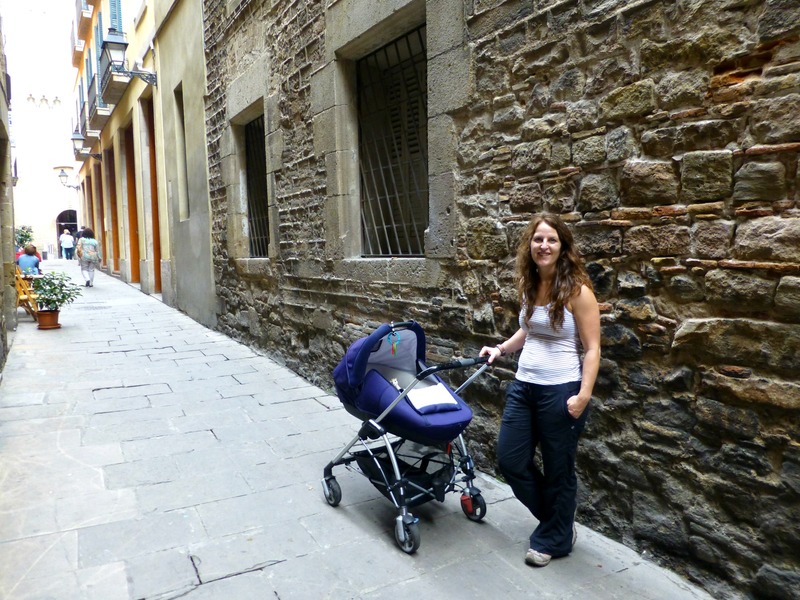 Barcelona is a very walkable city and you can walk freely with your stroller on the sidewalks virtually everywhere – even the cobblestone streets in Barri Gotic (the Gothic Quarter), were not a major issue with our rented stroller. A few of the sidewalks are narrow and are only wide enough for one person, but you will find the locals and tourists alike will always move aside to make room for you and your stroller. Note, that while Barcelona itself is very walkable, there are some attractions which are not stroller friendly. For more info, visit our Barcelona: Stroller vs Baby Carrier blog post or pick up a copy our Baby Can Travel: Barcelona travel guide. We have found it difficult to find definitive information on the regulations for car seats in taxis in Barcelona, however this website claims that they are required for any urban taxi transports. Your best bet would be to request a taxi with a car seat if you are not travelling with your own. We include all the best options to get from the Barcelona Airport to your hotel in this post. Currently, Uber cannot operate in Spain as it was ruled as unfair competition for the taxis. Within the public transportation system of Barcelona is the metro, buses and trains. The FGC, which has trains to the suburbs, is also integrated into the public transportation system. The metro and buses do not run all night long, but there are night buses (NitBus) that run overnight. All NitBus routes stop at Plaça de Catalunya. Single ride Zone 1 tickets cost €2.15 and can be bought at all the stations, plus directly from the driver if you are taking the bus. Zone 1 tickets cover the majority of the attractions and also includes the airport. Once your ticket is validated, you can freely change metro lines and even change from metro to bus (but not the other way around) within a 75 minute time period. If you will be making five or more journeys it makes more sense to buy the T10 (Zone 1) ticket from €9.95. The T10 transport ticket is valid for ten journeys on the buses, the metro or RENFE in Zone 1 areas. It can be purchased at the airport tobacco shops, the RENFE train station or at all metro stations. 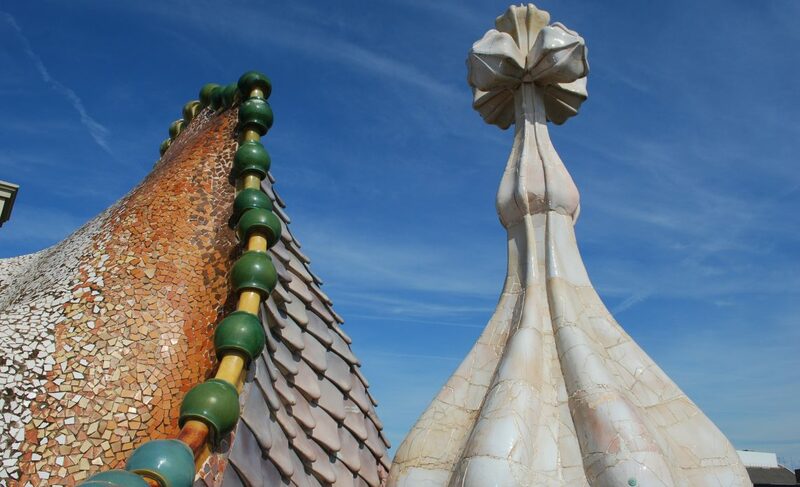 Another option is to purchase a Barcelona Card, which in addition to free admission to many attractions, also includes unlimited access to the public transportation system around Barcelona. Or purchase a Hola BCN! Card, which gives you unlimited free rides on the metro, buses and trains. Cards which are valid for 2-5 days can be purchased at a cost of €14.50 – €33.70. Children under 4 can ride free on the public transit network. Use a baby carrier or light weight stroller when taking the Metro. Despite claims from the Metro website that the Catalunya station had elevators, they were out of service which meant one of us had to carry the stroller down the stairs with the other carrying our daughter. Hop On Hop Off (Ho Ho) buses are an easy and interesting way to get around and see Barcelona. Ho Ho buses are double-decker buses which feature a popular open air upper deck. These buses follow a predetermined route through the city with stops at all the major tourist attractions. The advantages of these buses are that they will take you to many of the top sights in Barcelona and they give an excellent vantage point to view the town while en route. The disadvantage of these buses are that because they stop at all the sights in the loop, it will take roughly two hours to complete the full loop (time will vary). 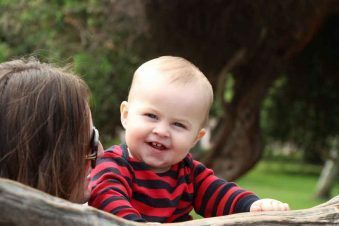 Being efficient with your time is essential when travelling with a baby, so if you are concerned about travel time you may wish to take more efficient (and significantly cheaper) modes of transportation such as the metro. You may bring a stroller on the bus and there is a special section on the bottom deck for you. The stairs to the top deck are steep and winding and as a result, you cannot bring your stroller up. If sitting on the upper deck is attractive to you, bring a carrier instead of (or along with) your stroller and be sure to bring along some sun protection for your baby. 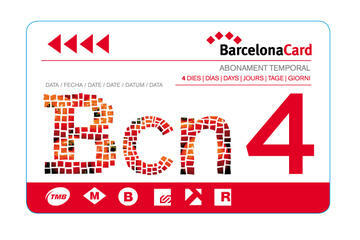 There are two operators of Ho Ho buses in Barcelona: The Barcelona City Tour and Barcelona Bus Touristic. 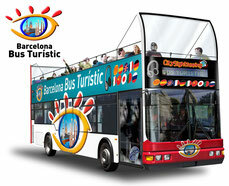 Barcelona Bus Touristic is operated by the TMB, who also operate the public transportation system. Costs range from €29 for a one day ticket to €39 for a two consecutive day ticket. Children under 4 are free. Order online and get 10% off. Free wifi is available on the buses. With purchase, they also offer a series of vouchers which provide you with discounts at area attractions, restaurants and shows. Details of their three routes can be found on their website here. 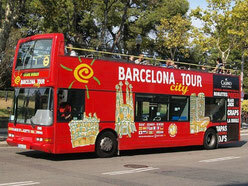 Barcelona City Tour is operated by a private company. Costs range from €26 for a one day ticket to €35 for a two consecutive day ticket. Children under 4 are free. Order online and get 10% off. Details of their two bus routes can be found on their website here.